Gift box with 20cl Elixir d’Anvers, 20cl Elixir de Spa and 20cl Elixir d’Anvers Advocaat. Gift box with 20cl Elixir d’Anvers and 20cl Elixir de Spa. Gift box with 3cl Elixir d’Anvers and 5cl Elixir de Spa. 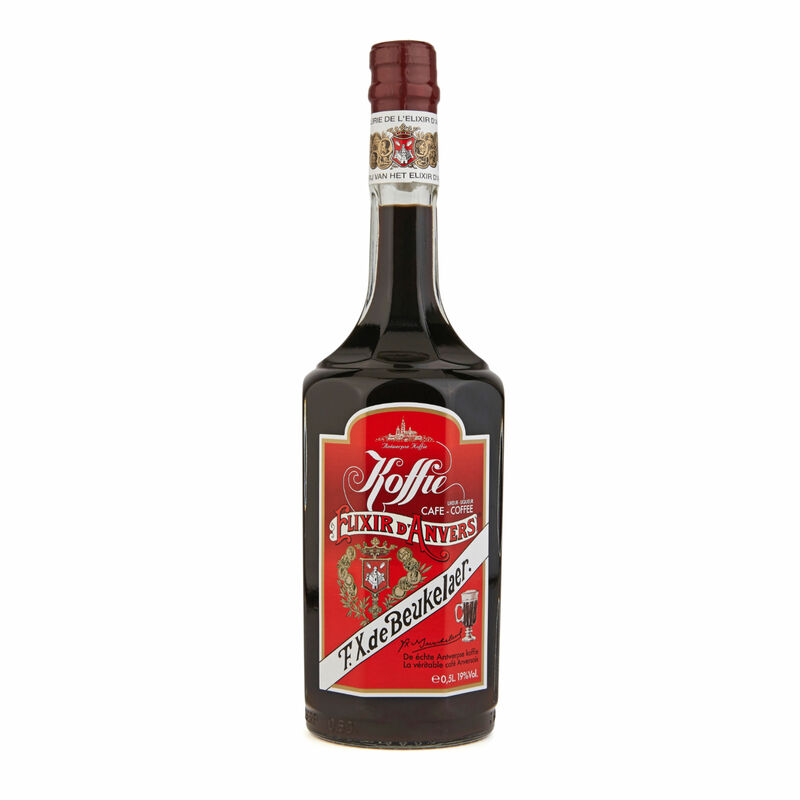 This ‘real’ Antwerp coffee liqueur is an exclusive marriage of Elixir d’Anvers and a fine distillate from Ethiopian and Columbian coffee, resulting in a unique and characterful coffee aroma with elegance and finesse. Prepare your real Antwerp coffee with 1 measure Koffie Elixir d’Anvers and 2 measures of hot water. Top off with whipped cream. Each litre of Advocaat Extra FX de Beukelaer is prepared with no less than 21 fresh egg yolks and pure alcohol. The alcohol volume of 18% ensures natural preservation of the fresh ingredients. 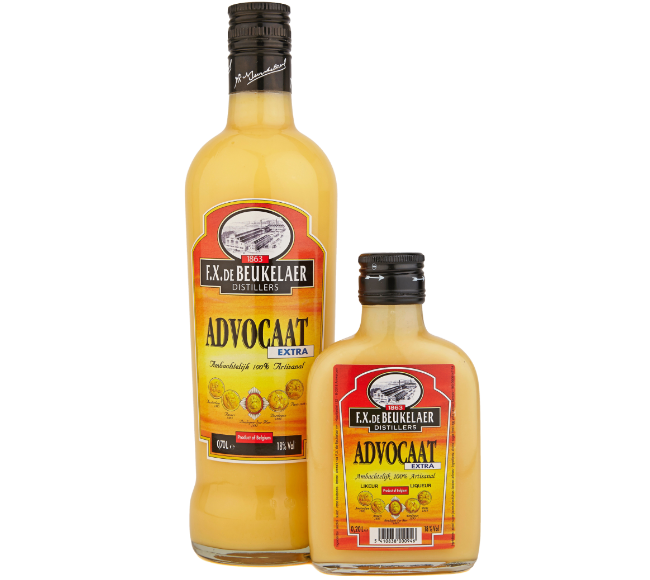 Advocaat Extra FX de Beukelaer is free from colourings or thickening agents. 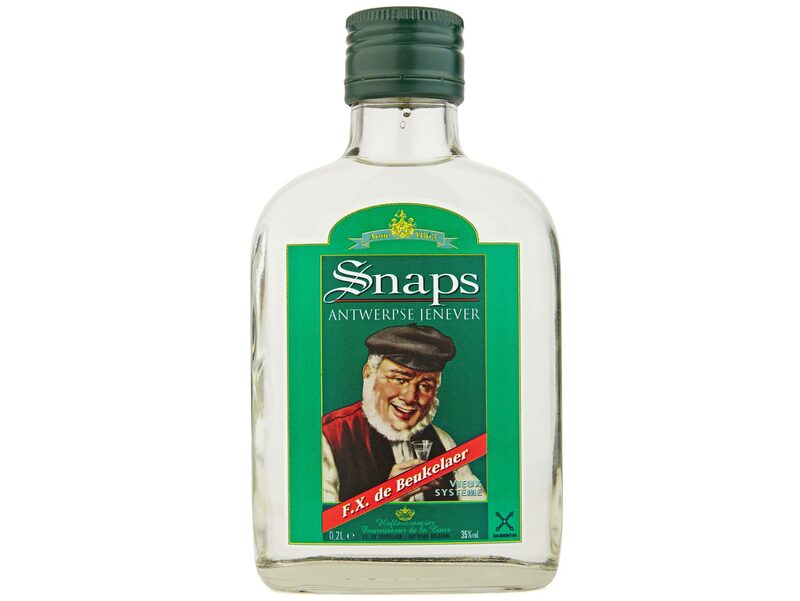 For over a century, Snaps Jenever has been distilled by FX de Beukelaer according to the ‘vieux système’ or old pot still technique. An amazing reviver is a ‘Koetsierke’ or Coachman: equal measures of Elixir d’Anvers and Snaps Jenever, served ice cold. The artisan grain genever – or jenever – St. Pol is distilled from rye and malt, according to the original recipe. This results in a fine nose of grain and the genuine flavour of yesteryear. 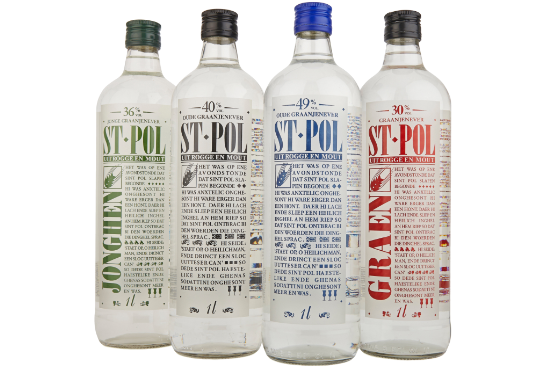 With its rich flavour and its fine aftertaste full of character, St. Pol Graanjenever is the ideal refreshing drink or the perfect flavouring ingredient in cocktails and aperitifs. For example, combine St. Pol Graanjenever with your favourite tonic for a surprising twist on the classic G&T. 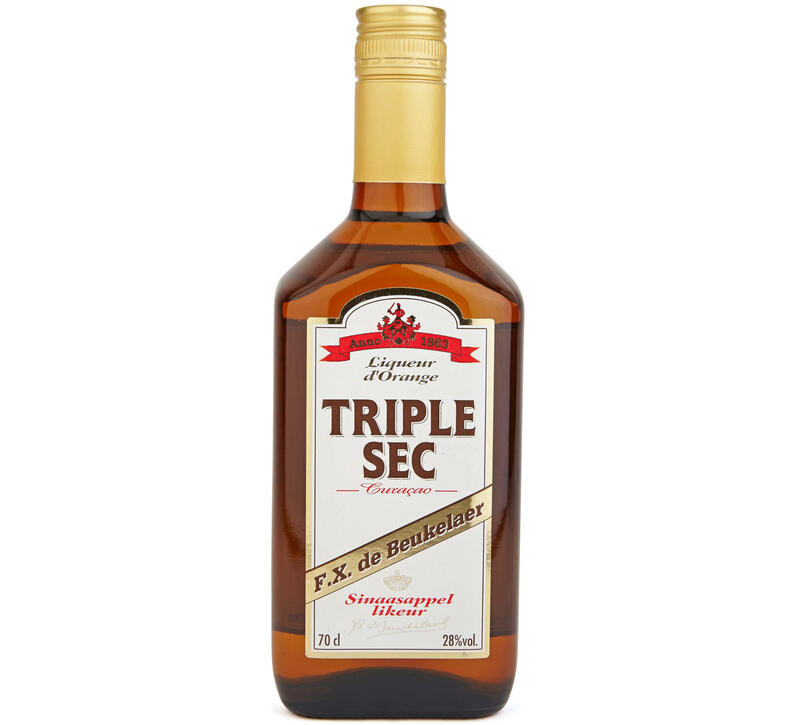 Triple Sec Curaçao is a delicious artisan orange liqueur, packed with flavour and made with high quality ingredients including bitter Curaçao orange peel. Excellent to drink neat, or in your favourite cocktail.